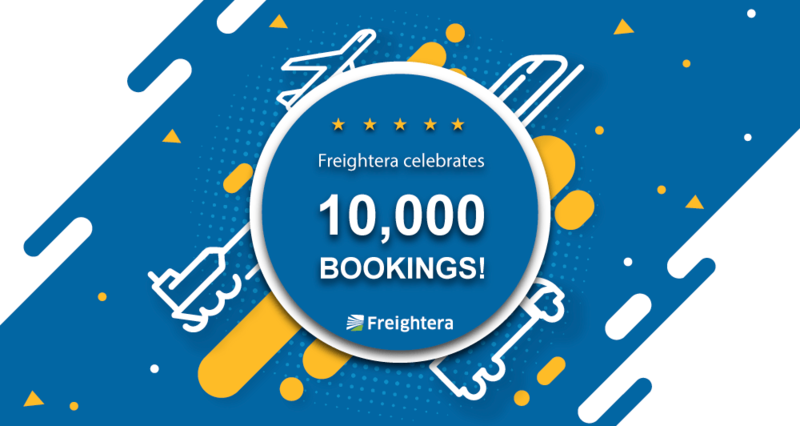 Freightera, “Expedia for Freight”, celebrates its 10,000th shipment, on target to achieve best LTL inventory in the US and Canada. 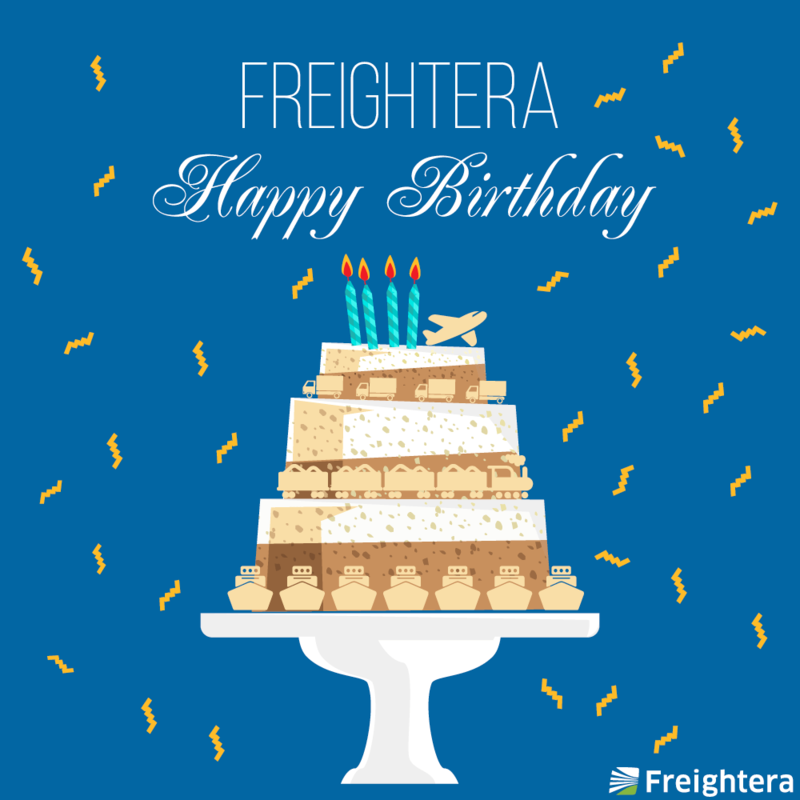 VANCOUVER, B.C., May 1, 2018 /PRNewswire/ — Freightera, North America’s rapidly growing online freight marketplace, celebrated its 4th birthday today as it booked over 10,000 shipments. This marks a period of expansion for Freightera, including going live with rates from Canadian National, the second Class 1 railroad Freightera has made available through its online quoting and booking platform. “Thousands of businesses in the US and Canada are switching to Freightera to take advantage of a combination of great prices, vast lane inventory, instant quotes and excellent service,” added Eric Beckwitt. Over 100 customers have given Freightera 5- and 4-star reviews for pricing and service, a huge accomplishment in an industry suffering from lack of care. Freightera currently offers over 16 billion instant rates covering 23,000 North American communities and is expanding at an average of 500 million rates per month. Hundreds of new carriers are joining the platform each year. In the last year, Freightera signed all Class 1 railroads and added an initial inventory of refrigerated LTL and FTL to the platform. When complete, Freightera will allow business shippers get instant quotes and ship freight between any two locations on earth. The system will cover all transportation modes, air, ocean, rail, and road, and automatically find the lowest cost, lowest emission or highest service quality options. Freightera is a major promoter of green shipping, with over 80% of loads booked in the platform via SmartWay certified carriers or rail. In addition to CN Rail, which operates the largest rail network in Canada and the only transcontinental network in North America, Freightera offers direct rates from CSX, which serves major markets in the Eastern United States and has access to over 70 ports along the Atlantic and Gulf Coasts, the Mississippi River, the Great Lakes and the St. Lawrence Seaway. In May Freightera will go live with CP Rail, which connects Eastern and Western Canada, the NE US and Midwest. Freightera’s Link2Rail initiative, which automates the connection between trucking companies and rail, is designed to make rail shipping more accessible to businesses. It will connect trucks to rail terminals for long-distance transport, and transfer freight back to trucks for last mile delivery. Freightera’s CEO Eric Beckwitt wrote the thought leadership article on the green future of freight for the 2016 G7 Summit version of Climate Change: The New Economy and is featured in the same publication for this year’s G7 Summit in Canada. As he presented at the COP22 UN Climate Change Conference in Marrakech, and discussed at COP23 Bonn, everyone benefits when increasing efficiency leads to lower transport costs and reduced emissions. In Freightera’s Lower Emission Freight Marketplace, created in cooperation with SmartWay and Natural Resources Canada, highly efficient SmartWay certified transport companies and rail carriers thrive, rising to the top of Freightera’s search based on price and service quality, and offering shippers emissions reduction as a secondary benefit to cost savings. Freightera is creating a unified global marketplace for freight shipping. Starting in North America, Freightera is automating freight transportation and increasing operating margins for carriers and businesses shipping freight. Freightera creates partnerships and systems and promotes new technologies that allow businesses to find the best price and lowest emission transportation options. Over 7,000 manufacturers, distributors, wholesalers, and retailers in the US and Canada use Freightera for 24/7 online access to billions of all-inclusive freight rates and instant freight booking. For more information, see freightera.com.